A major infrastructure project in Sydney, Australia is leveraging the benefits of Yale Ergo 360 ratchet lever hoists, suited to pulling, securing and lifting, featuring manufacturer Columbus McKinnon’s patent-pending crank handle. The product was introduced by Ranger Lifting, a specialist supplier of lifting and rigging equipment, which stocks the 750kg and 1.5t capacity hoists at its new Prestons facility near Sydney. 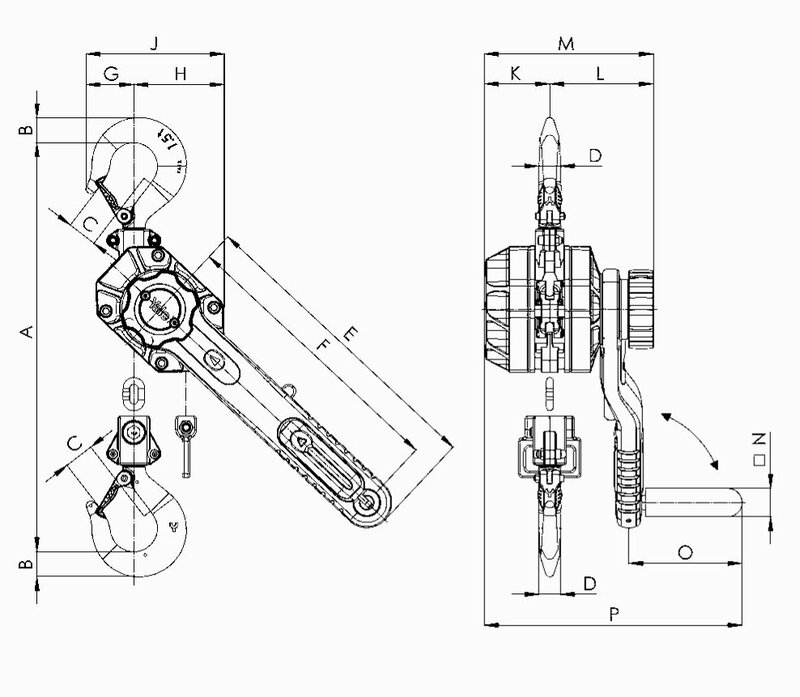 A key feature is its revolutionary crank handle, which is designed for optimal efficiency and safety, allowing for operation in both lifting and pulling applications. The manufacturer said the design allows an operator to work up to 12 times faster and with as much as 30% less pull force than with conventional ratchet lever hoists. 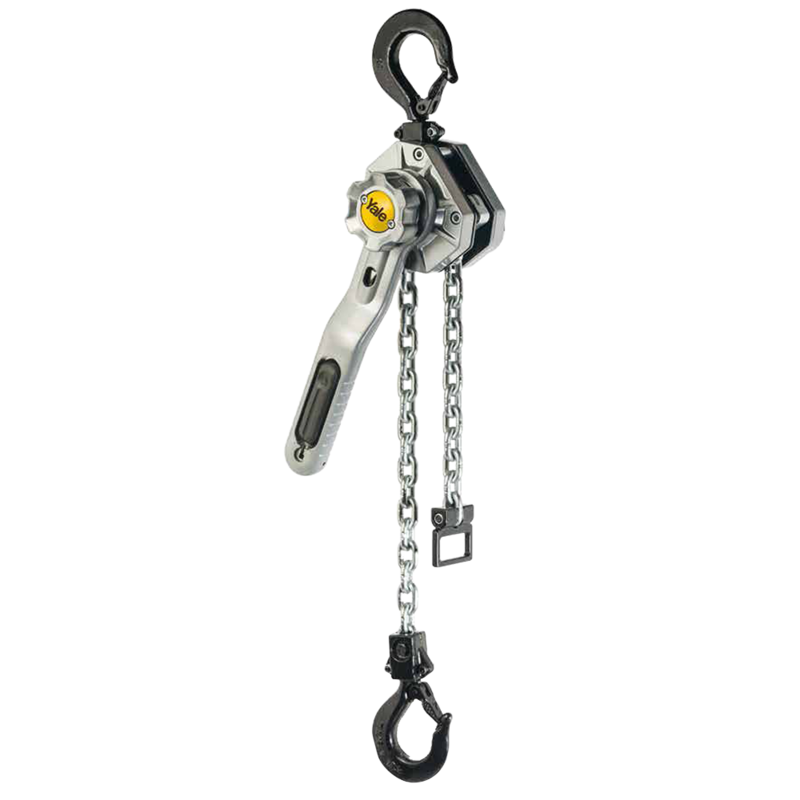 The design keeps the operator’s body aligned with the load chain, reducing the risks associated with twisting the hoist around the chain. The grooved, no-slip handle is also provided with the operator in mind, as is the distinctive clicking sound that one hears when the handle is locked into position. Other standout features include positive load control, with a Weston-type brake that stays clean and dry for precise load positioning; lightweight aluminium housing; corrosion protection; swivel hooks that are easy to inspect and forged, allowing them to yield under overload without breaking; and easy identification through unique serial numbers. After we used it, I wouldn’t purchase another brand again; it’s strong, safe to use, and a solid, bulletproof hoist. I have already introduced the product to another site and encouraged them to get Ranger in. Working with them has made the process of sourcing quality equipment a lot easier, owing to their product knowledge and support. The Ergo 360 is the result of extensive research and ergonomic studies conducted by Columbus McKinnon’s engineers. 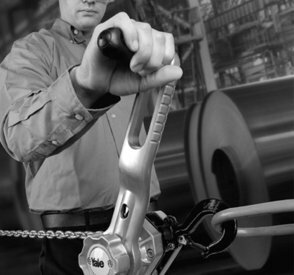 The study revealed that lever hoists are more often used for pulling and securing than they are for lifting. Further, in many applications, proper, safe and ergonomic use has not previously been possible. The findings formed the cornerstone of subsequent product development and testing. Ashley Thacker, general manager at Ranger, said: “I’m delighted Marc and his team have reported back with such positivity. What initially interested me about the product was that within the results of the manufacturer’s extensive research programme were synergies with feedback we received from our own marketplace. However, you don’t really know how it will perform until it is tested in a real-life application. 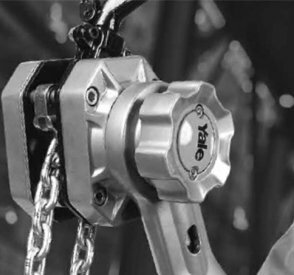 Redefining lever-operated hoists, the YaleERGO 360 features the revolutionary crank handle that allows for efficient operation in both lifting and pulling applications. 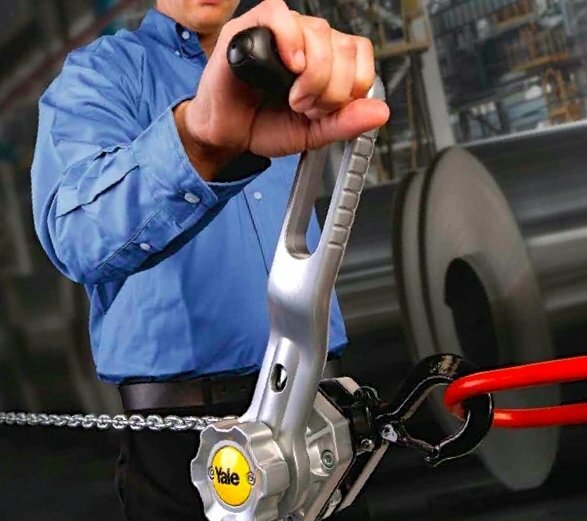 Ergonomically designed for increased safety, the patent-pending YaleERGO 360 lets the operator to work up to 12 times faster and with as much as 30 % less pull force than with conventional ratchet lever tools. • 360° rotation increases efficiency, allowing operators to work up to 12 times faster than with a conventional ratchet lever hoist. • Requires 30 % less pull force to operate. • Easy and effective operation from any angle with handle that folds down and locks into position on either side of the lever. 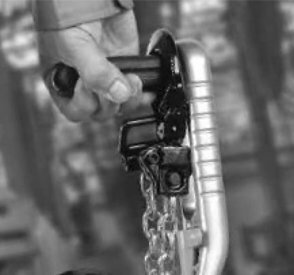 • Design keeps the operator’s body aligned with the load chain, reducing the risk of the twist effect – when a hoist twists around the chain. No need to use a second hand to stabilize the hoist. • Operator can securely grip the grooved, no-slip handle. • Crank handle made of durable poliamide with a heavy-duty steel core for rugged use.